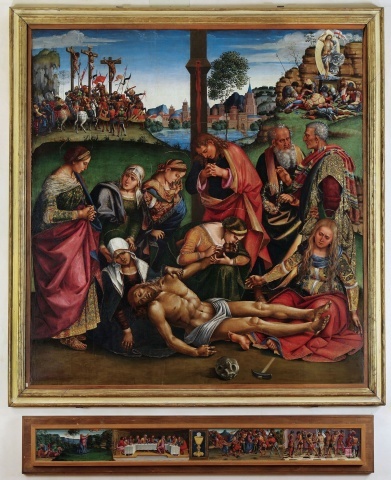 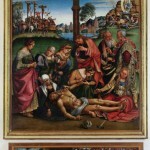 the evocative Lamentation over the Dead Christ by Luca Signorelli from the Church of Santa Margherita. 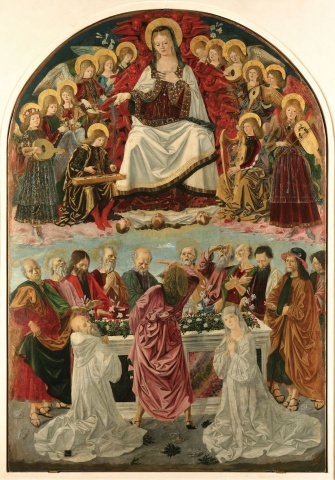 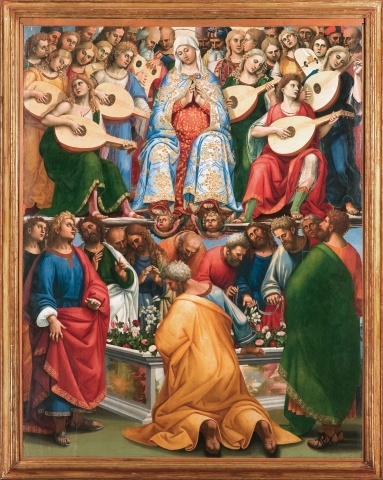 In tribute to this artist, the Diocesan Museum was established in 1923 on the occasion of the fourth centenary of his death; some of the artist’s larger paintings exhibited here were originally on the altars of the Church of Gesù. 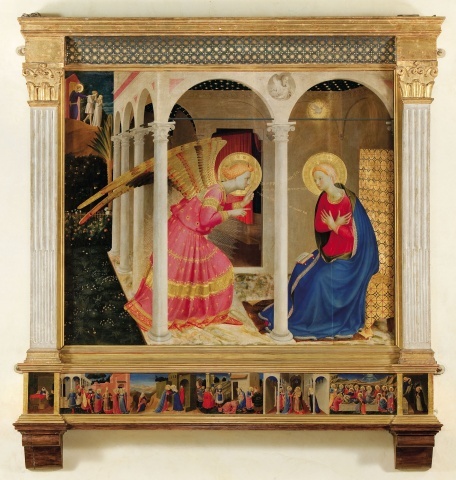 These paintings document the painter’s late period, but they were highlighted in 2012 at exhibitions in Perugia, Orvieto, and Città di Castello celebrating this artist. 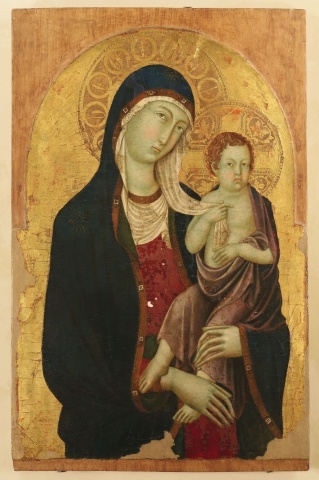 The museum participated in The Renaissance in the land of Arezzo exhibition, which closed 18 November 2013. 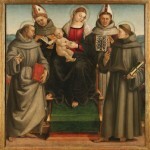 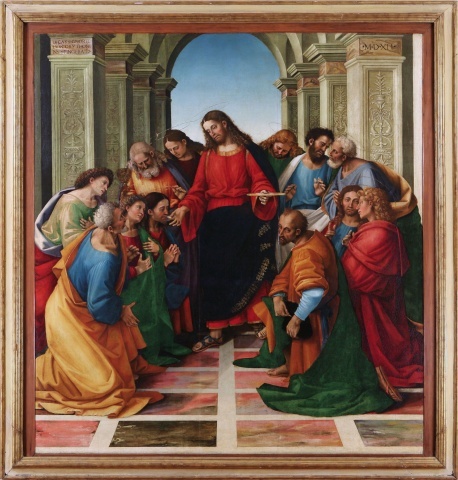 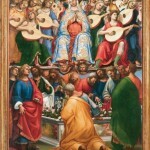 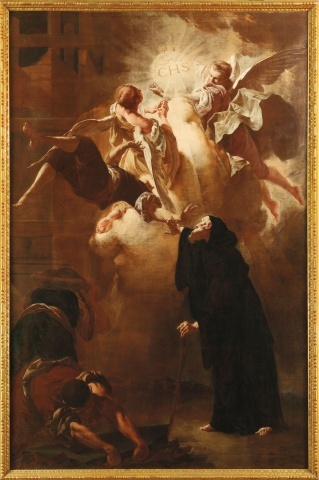 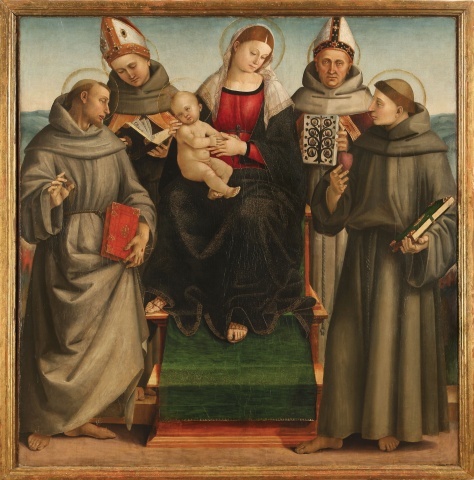 Guida Storico Artistica al Museo Diocesano di Cortona, Calosci Cortona, Edoardo e Paolo Mori. 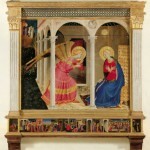 Museo Diocesano Cortona, Murena Editrice, 2007, a cura di Paolo Bruschetti e di Maria Grazia Vaccari. 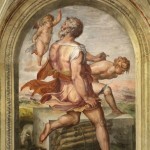 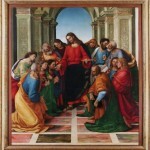 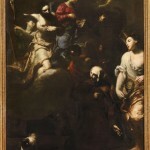 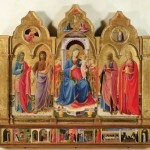 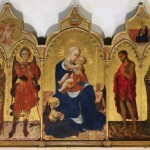 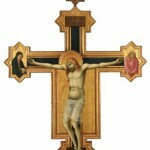 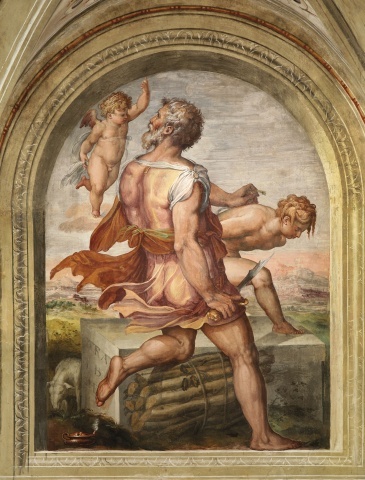 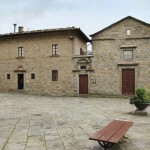 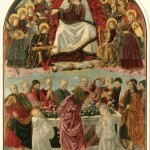 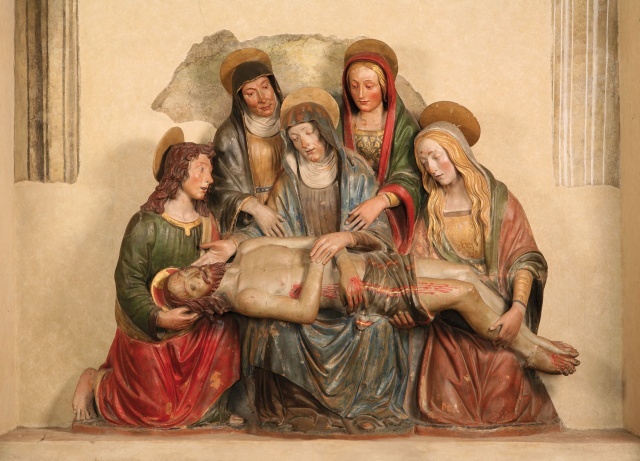 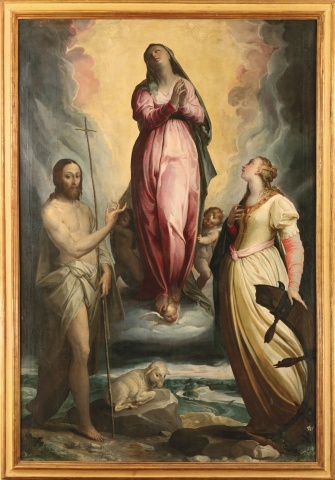 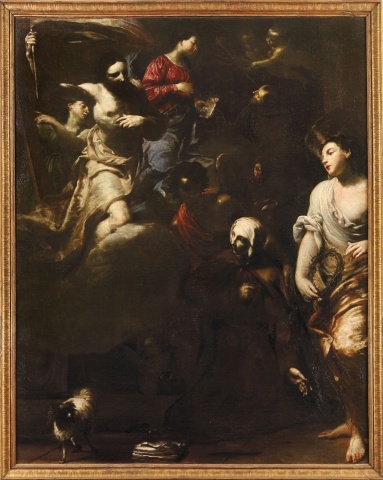 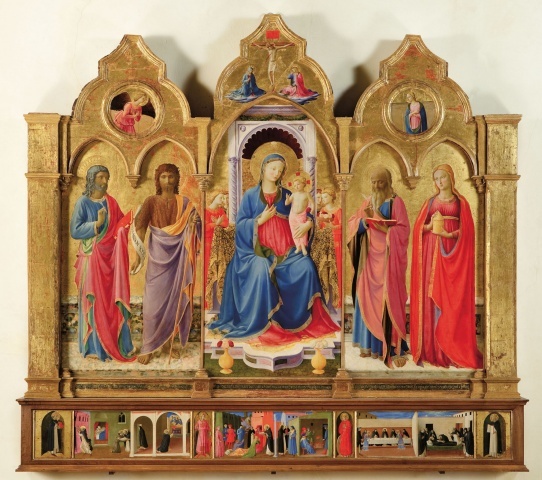 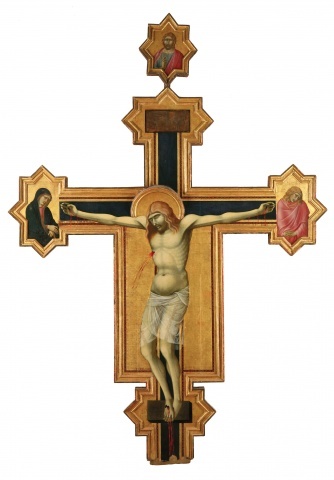 Museo Diocesano di Cortona, Guida al museo e scoperta del territorio, Ed Polistampa 2012, a cura di Serena Nocentini. 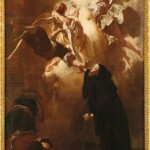 On the frame are the Archangel Gabriel, Agnus Dei, and the Virgin Announced. 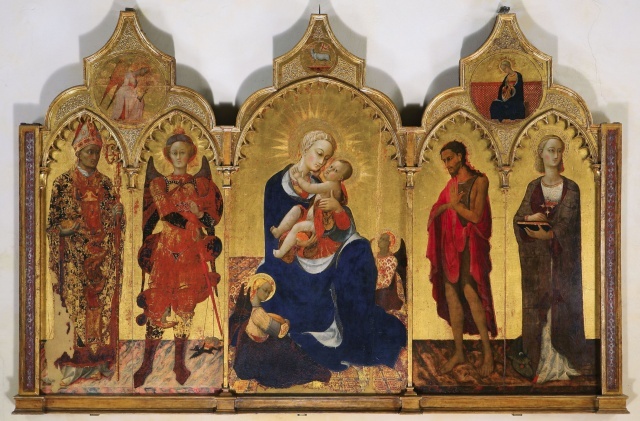 On the frame: the Archangel Gabriel, the Virgin Announced, and Agnus Dei; on the predella: Episodes from the Life of Saint Dominic. 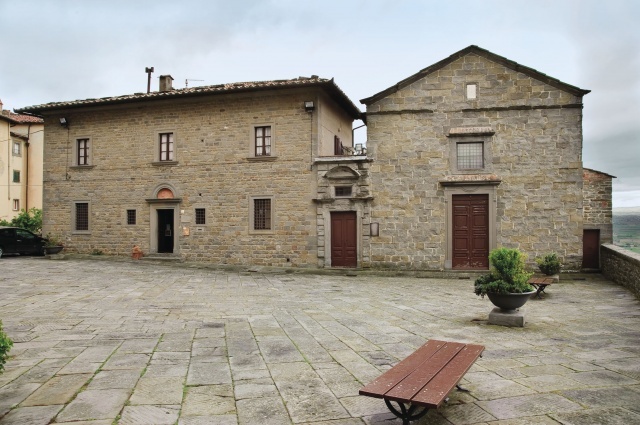 November 1 to March 31: Tue-Sun 10 a.m.-5 p.m..
Closed on Mondays and 25 December. 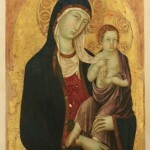 Free of charge for children under 6 years of age.